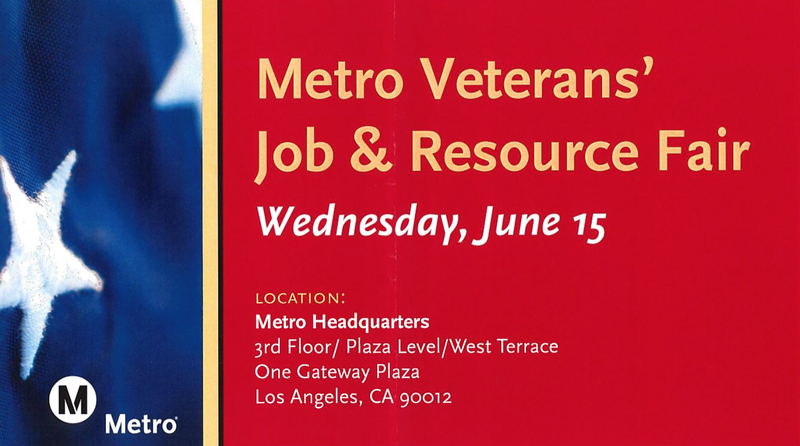 Metro is hosting a job and resource fair for veterans on Wednesday, June 15. The event will take place at Metro Headquarters and also offer sessions on resume writing and interview prep. Sessions begin at 8:30 a.m. The job fair opens at 10:30 a.m. and ends at 2 p.m.
To reach Metro Headquarters, take the Red, Purple, Gold or Silver Line to Union Station. You can also connect via one of the multiple bus lines that serve Cesar Chavez/Vignes and Patsaouras Bus Plaza. Use Trip Planner to find routes and connections. Open thread: how’s your commute going on the Expo Line?